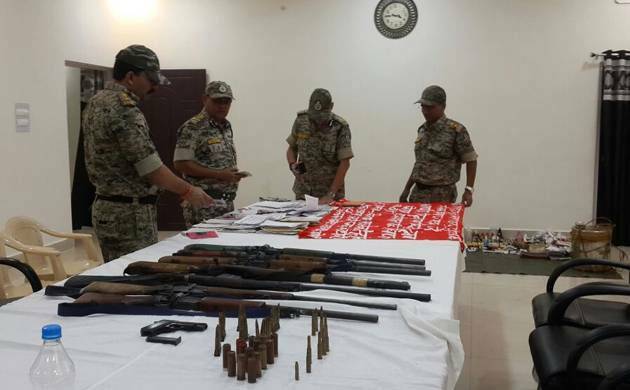 A joint team of police's Special Task Force (STF), District Reserve Guard (DRG), Central Reserve Police Force (CRPF) and CoBRA (CRPF's elite unit) nabbed the rebels under the jurisdiction of Bhejji police station, Deputy Inspector General of Police (south Bastar range) Sundarraj P told PTI. Seven Naxals were on Wednesday arrested in Chhattisgarh's insurgency-hit Sukma district, police said. The arrested Naxals were identified as Kunjam Joga (30), Muchaki Hadma (20), Madvi Deva (25), Muchaki Payka (27), Kuhrami Sukka (21), Madkam Kosa (45) and Madkam Hunga (41), he said. They were active as members of the Dandakaranya Adivasi Kisan Majdoor Sangthan (DAKMS), a front organisation of the Naxals, he said. They were involved in an attack on a police team in Gacchanpalli forest in July last year, the DIG said. They were also wanted in connection with torching of a car and a motorcycle near Chikhalguda last month, he said.